Like many, it seems over the last few years, I’ve been getting more interested in some simple home brew hardware hacking. 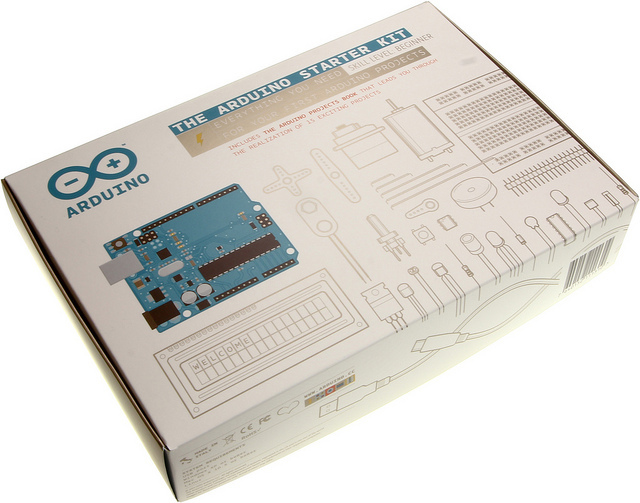 Thus, I’ve recently taken delivery of an Arduino Starter Kit, and a Raspberry Pi model B. If you’ve somehow missed these, then a quick summary on both. 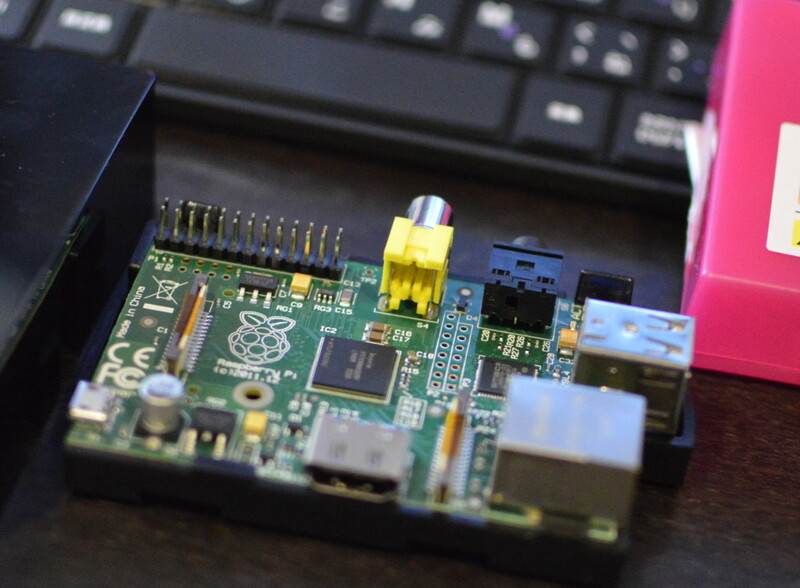 The Raspberry Pi is a little different – it still has an open source basis, but is essentially a basic computer – CPU, memory, the whole thing. You just add USB power, a case, an SD card for storage, and on a simple level, install a special Debian Linux release called Raspbian. From this you have a computer which can run media at 1080p over HMDI, to simple tasks and desktop over the RCA video connector. the base board costs from 20GBP for the Model A, to 26GBP for the Model B, which is the one I bought. So far it:s been a lot of fun, and impressive something so cheap and simple can be used to stream video off my home NAS, and on a different install be a normal desktop for learning a bit of Python on.